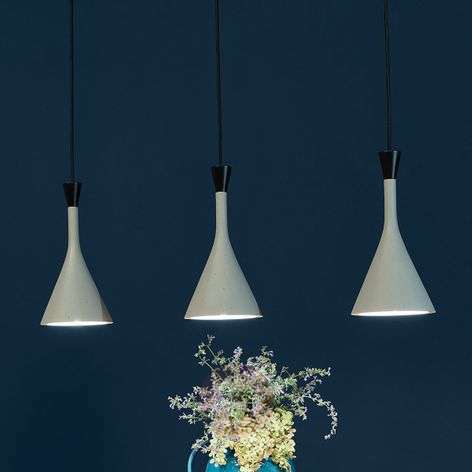 The style of the modern designed Roddik pendant light is in a light concrete look, which is optimally brought to the forefront with black-coloured accents. 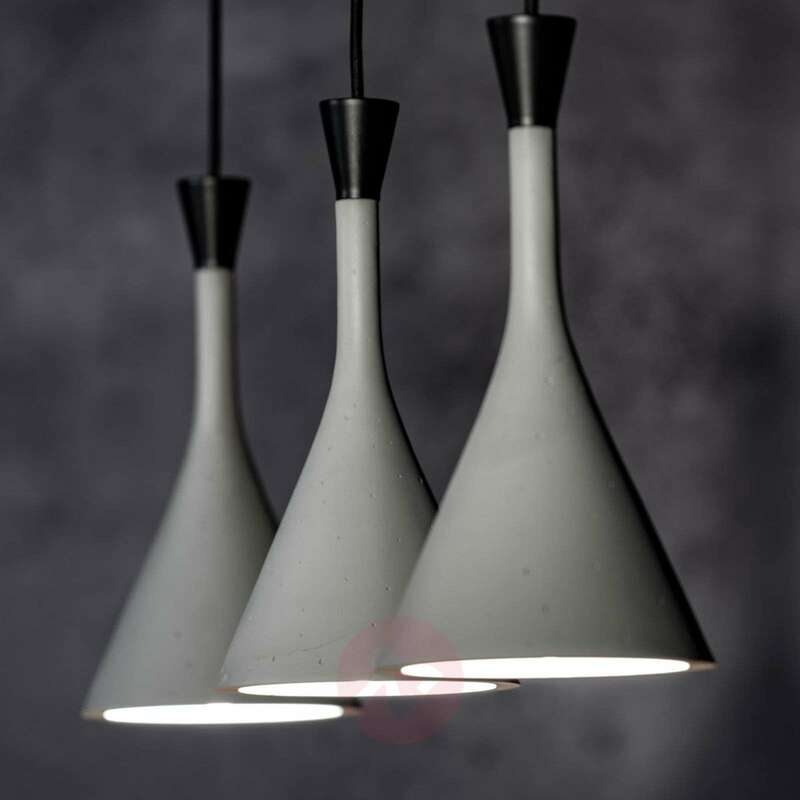 It consists of three cylindrical lampshades, which have an opening of 16 cm. Sufficient and comfortable light is generated from an E14 light bulb inside and it is radiated downwards . 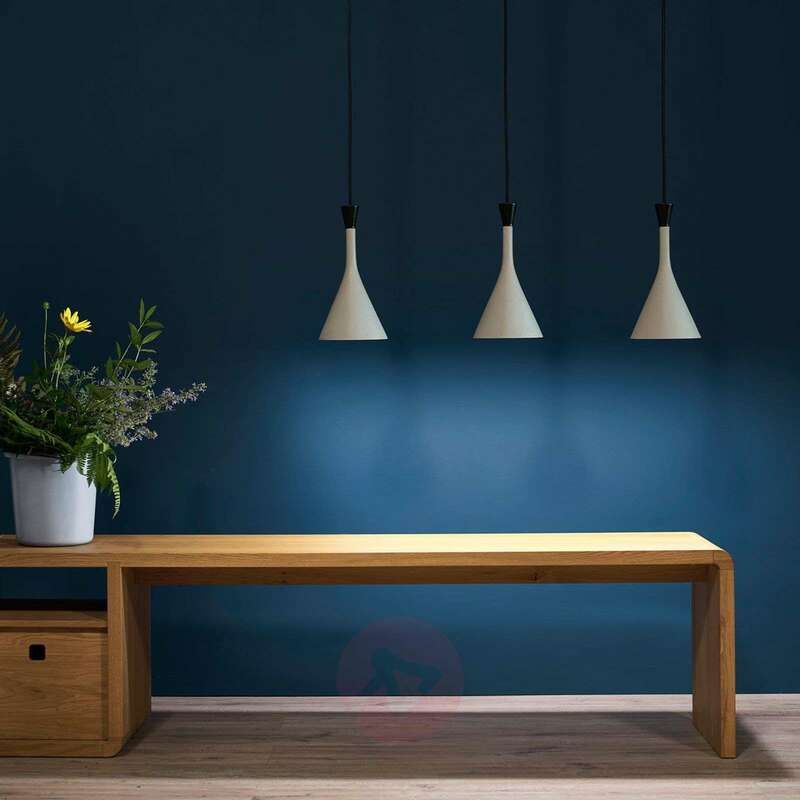 Thanks to the linear arrangement of the three lampshade units Roddik is most suitable in illuminating a dining table. Is it possible to reduce the 150cm drop? Thank you for your enquiry. Kindly note that the you will be able to adjust the suspension to the desired length prior to installation. Is there any way to hang this from an apex ceiling? can a central flex be taken to the ceiling? What size is the drop? 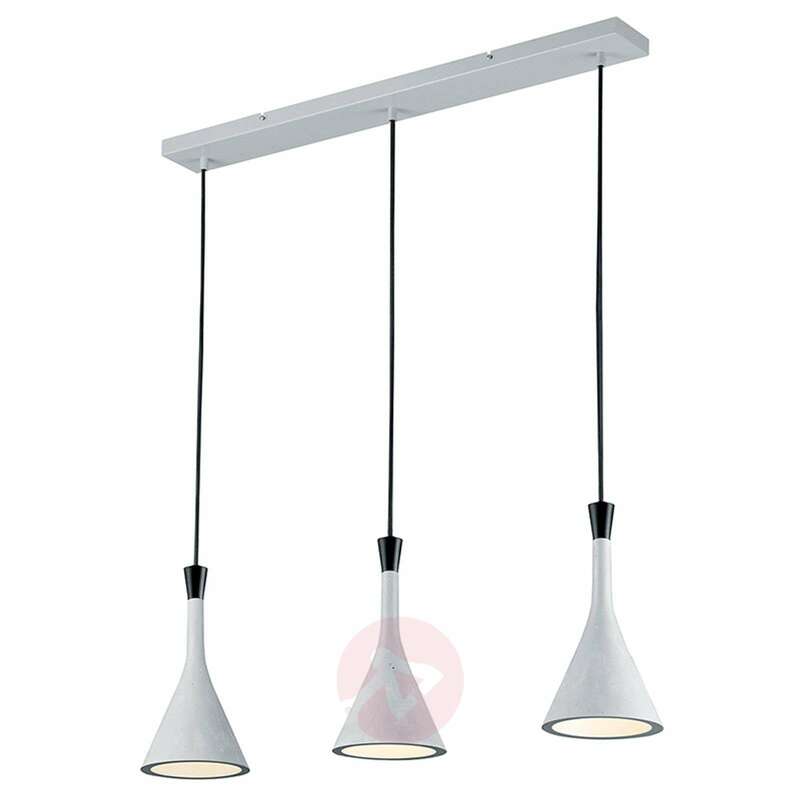 Because of the build of the lamp you may only install it parallel to the apex and not perpendicular. The maximum drop is 150 cm. Is ir replaceable to GU10. LED fitting? Thanks for asking. This light can take LED bulbs, yes. However, the fittings are E14, the smaller screw type bulb. i bought this a few weeks back, real easy to install and it looks great. 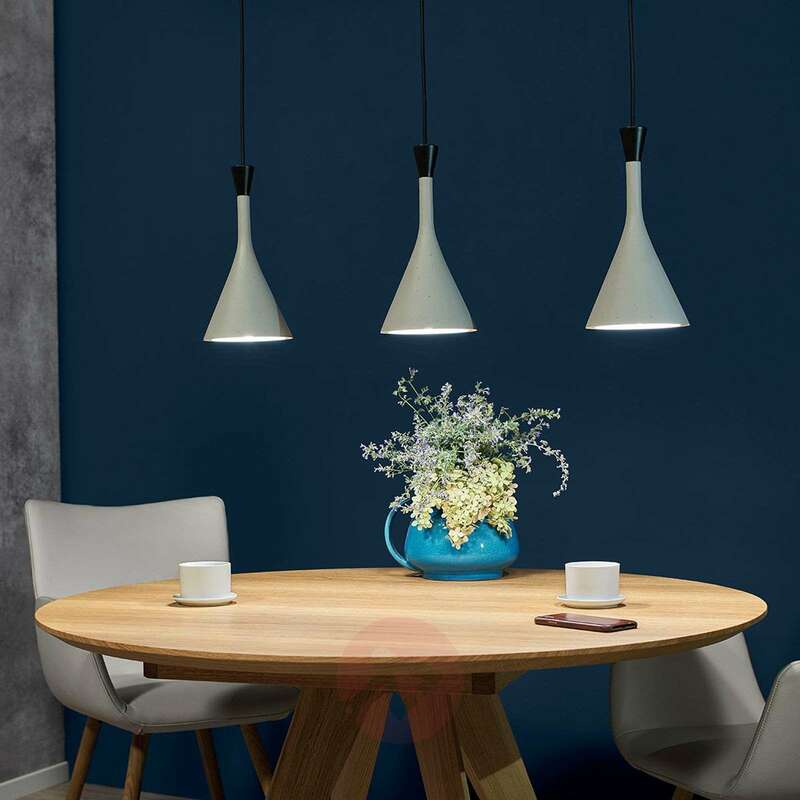 This light is perfect for our dining table where it lights the table perfectly without blinding you and without obscuring your view. Looks great too. The delivery was fast, the color is light grey and they are heavy enough lights. The surface of the lights are not smooth but with some patterns (small holes).